Clifton Camera Works, Inc. (CCW) has provided production and post-production services to independent producers and DP's in Houston, Texas for over 30 years. 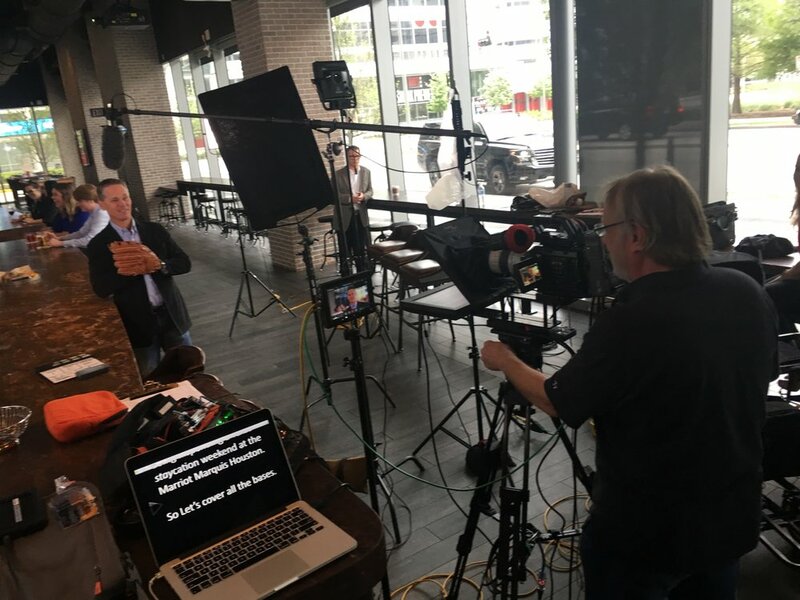 Specializing in single and multi-camera productions using the latest camera, lighting, sound and editing technology, Chris Clifton has an outstanding reputation as a service provider for producers and DP's from coast to coast coming to Houston with production and post-production needs. Long-time associations with medical center related producers resulted in dozens of patient education videos for Baylor St. Lukes, Texas Children’s Hospital, MD Anderson, and UT Health Center for Health Promotion and Research. Most of our productions have been accomplished with affordable and efficient two-camera or three-camera setups. Our latest technology 4K HD equipment with cine style lensing, lighting and sound mixing gear, experienced crews, Premier editing facilities and editor work seamlessly with local and national producers as well as provide crew and equipment support for other production companies. Press the Play icon on the logo for examples of work completed for the medical center, churches, financial institutions, and examples of other post-production capabilities like After Effects and Green Screen/chroma key production and Animation. Thank you for visiting this site!